So today I have found out that Google Friend Connect has been discontinued on March 1, 2012. Read here: GFC Discontinued. Blog owners, like me, were not notified of this and that was the one way I was trying to keep my followers updated on my big, beautiful blog! (a little sarcasm there) But seriously, the few people that were following me were not getting any updates and I did not know that. So where to turn??? I put up a Facebook page for my Blog and a link on my page and am hoping that my followers will now follow this way. It is very discouraging when you have a few close friends following you and then you find out that they are not and its not of your doing. I do not keep up this blog to see how many people I can get to follow me. That is not my goal. 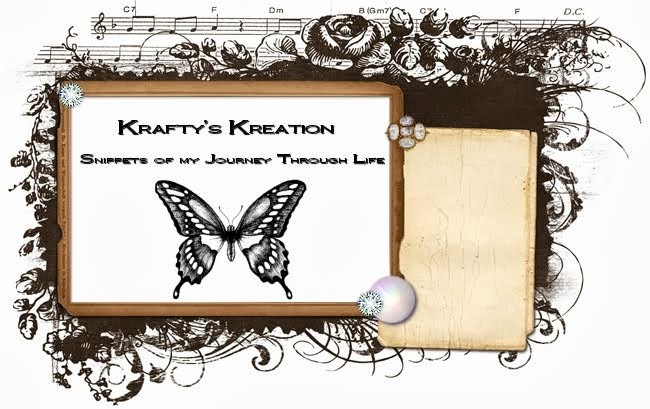 I just have it as a place for me to vent out a bit about various items going on...whether I am crafting, doing nail art...or just doing regular life activities. So please don't think that I am out for how many followers I can get, but it would have been nice if Google would have let me know that the service that they were providing is no longer in use. So, I have started a Facebook page that I hope you will check Like and follow me throughout my journey of life!!! LOL!!!!! Oh well...at least I found out. See, told you that this blog also have my venting! LOL!!! Thanks all and I hope you keep following! I have a bunch of posts to catch up on and hope to do it soon.